The Middle East region, taken here to include the Tigris-Euphrates, the Jordan, and the Nile River Basins, has some of the highest population growth rates in the world and has a heavy reliance on irrigation for agricultural productivity. The region also has diverse historical religious, ideological, and ethnic disputes. Political friction and water scarcity have combined to produce perhaps the most volatile situation in the world (McCaffrey, 1993). At present, only the Tigris-Euphrates system has a significant amount of water left for allocation after present demands are met. The Nile is the longest river in the world, flowing some 6500 km and draining an area of about 3.1 million km2 spread over 10 countries. Most of its water is, however, generated over only 20% of this area. Its waters have been in use by Egypt for over 5500 years. The Nile differs from many transboundary rivers such as the Tigris-Euphrates and the Colorado River systems, in that the strongest economy, the strongest military force, and the best established water user in the basin, i.e., Egypt, is the downstream nation. Ninety-five percent of its runoff originates outside of Egypt (Table 1). The Nile experiences significant decadal to century-scale variability. Biblical stories of feasts and famines remind us of how the river dominated the climate experience and well-being of ancient Egypt (Riebsame et al, 1996). The record of Nile flood levels at the Nilometer on Roda Island in Cairo has been called "the world's longest, best quantified climate proxy providing year-by-year values spanning an interval of 13 centuries" (see Diaz and Pulwarty, 1992). The Blue Nile flows from the Ethiopian Highlands to its confluence with the White Nile in Khartoum, Sudan. The White Nile loses half of its flow to the Sudan's Sudd (swamp lands region) as it leaves the Equatorial Plateau. The Atbara from Ethiopia is the last major tributary below Khartoum; here, the flow of the Nile averages 88 BCMY (billion cubic meters per year). From there the river flows 1200 km to Lake Nasser losing 4 BCMY to evaporation, with virtually no additional inflow for its remaining 2500 km run to the Mediterranean. Water levels are at their lowest from March to June and at their highest during the summer monsoon period from July to September. During August, the Ethiopian tributaries provide up to 95% of the flow. The Blue Nile as a watershed constitutes 16% of the entire basin, and at present contributes 62% of the annual flow at Cairo, while the White Nile contributes about 32%. Changes in the contributions of the source regions to the aggregate streamflow have been noted during three main periods: (1) ad 650 to 1250 with about equal contributions from both sources, (2) ad 1250 to 1480 with greater contribution from the equatorial White Nile source, and (3) ad 1480 to 1870 with lower discharge from the equatorial source. Increases in flow from 1650 to 1750 were more widespread, roughly matching increases in Lake Chad levels. Variations also occur within these century-scale fluctuations on a 25- to 45-year time scale (Diaz and Pulwarty, 1992). After the construction of the Aswan High Dam during the 1960s, the Nile maximum to minimum discharge ratio decreased from a natural condition of 12:1 to 2 :1. In addition to reducing seasonal to interannual variability of the river and to providing hydropower and predictable flows for irrigation, the dam also reduced sediment transport, estimated at 110 million tonnes per year, by 98%. The end result of these modifications in the basin is that the Nile delta is slowly declining and Egypt, at this time, uses more fertilizer per hectare than any other nation, in addition, 30 of the 47 commercial fish species available before construction of the Aswan Dam have been reduced to below harvestable levels. Allocations of Nile water are based on the 1959 Agreement for the Full Utilization of the Nile Waters, which allotted 55.5 BCMY to Egypt out of a "fixed" flow of 84 BCMY. Requested allocations for upper Nile Basin states, most of which were British colonies in 1959, were rebuffed by Egypt. The result has been that Sudan and Egypt have harnessed most of the Nile's water with negligible development by other basin states. Egypt pursues a status quo position of fixed or increased inflows, resisting the construction of dams by Ethiopia on Nile tributaries. At present, Nile water in an average year plays a role in producing food for about half the population of Egypt. Large food imports, thus represent the importation of "virtual water," that is, water that Egypt would have had to obtain itself in order to grow the same amount of food. As discussed by Riebsame et al. (1996), any calculation of climate change impact in the Nile Basin is complicated by assumptions about intricate water allocation and institutional arrangements, chiefly between Sudan and Egypt. At present, the Sudan requires additional Nile water for irrigation, but additional withdrawals would be detrimental to Egypt's already fully used supplies. Countries dependent on hydropower also have to agree to release adequate amounts of water for irrigation. However, there is considerable reluctance to release water at the expense of hydro-electricity. In addition, several of the upstream countries have severe food security problems, with much less money to import food than does Egypt (Appelgren and Klohn, 1997). These countries increasingly view water resources development, including interbasin transfer, as their major hope and option for socioeconomic development. One such system, the Jonglei Canal, designed to increase available Nile flows, is over half completed. The canal was designed to divert water around the Sudd to enable larger quantities of White Nile flow to reach Aswan. Its development is halted, at present. While rules for regulation of the equatorial lakes to minimize downstream and upstream losses have been developed, the scale of ecological impacts of the canal, if completed, are anticipated to be large for the Sudd. Even with better technical information, it is still up to the states of the Nile Basin to decide which operational strategy represents the most desirable compromise (Georgakakos et al., 1997). The Quaternary record also shows evidence that for periods of time the equatorial sources formed a closed basin, i.e., they did not flow to the Sudd nor reach the confluence. Pressures on Nile resources have now reached the stage where countries are obliged to make the river both an object and instrument of domestic and international politics (Appelgren and Klohn, 1997), without the flexibility needed to adapt to natural changes in variability or social trends. Ethiopia, for instance, is expected to have 25% more people than Egypt by 2025. The past and present alterations of hydrology in the southwestern United States and northwestern Mexico reflect complex histories of human settlement, large-scale water diversions, the development and evolution of water policy and law, and expanding frameworks of water resources management. Rapid population increases, economic growth (including agriculture), the rise of urban centers over the last century (and more so recently) have resulted in intense pressures being placed on western lands, water, and institutions. In addition, the focus on water supply and the resulting design of water management agencies in the U.S. West evolved under the presumption of water as an open resource. Recent emphases on water demand management, on meeting obligations to Native American tribes, and on environmental concerns have altered the traditional roles of federal, state, and local agencies. Even in the water-rich Pacific Northwest region, trade-offs, for example (between hydropower and endangered species requirements), have brought allocation systems to their limits, threatening the very sense of community and reducing the likelihood of water transfers to drier regions. The Colorado River flows from the high mountain regions of Colorado through Utah and Arizona to the Sea of Cortez in Mexico. Its major tributaries, the Green, flowing from Wyoming, and the San Juan give the Colorado a drainage area of about 629, 370 km2. The Upper Basin (above Lee Ferry, Arizona), just below the state border with Utah, provides 83% of the annual flow. The Colorado does not discharge a large volume of water with estimated annual flows being about one tenth that of the Columbia and one-eighteenth that of the St. Lawrence in the northeastern United States, both of which drain basins of comparable size. It is, however, an important source of water for seven semiarid states in the western United States and for northwestern Mexico. Significant human alteration to seasonal streamflow began with the development of the Yuma Valley Irrigation Project, which in 1912 provided irrigation water in Arizona and California. More importantly, the completion of the largest concrete dam in the world in 1935, the Hoover Dam on the Colorado, initiated the golden Age of Dams in the United States (Reisner, 1986). The Glen Canyon Dam (hereafter referred to as the GCD) was completed in 1963, physically dividing the Colorado River into its Upper and Lower Basins. The full reservoir system now stores about four times the annual average streamflow. The Upper Basin provides 80 to 90% of the total flow in the Colorado. The primary role of the GCD is to enable the Upper Basin states of Utah, Colorado, Wyoming, and New Mexico to utilize their apportionment of Colorado River water, while meeting obligations for water delivery to the Lower Basin states of Arizona, California, and Nevada, and also Mexico, consistent with the laws, treaties, compacts, and court decisions regarding Colorado River operations, collectively known as the Law of the River. Decadal-scale climatic factors influencing present water allocations are discussed in greater detail by Stockton and Jacoby (1978). Briefly, the period 1905 to 1930 was the wettest such period in 400 years of record, with 19.8 BCM constructed annual average flow at Lees Ferry. The Colorado River Compact (1922) among basin states used this average as the base minimum for fixed allocation between Upper and Lower Basins. Since the signing of the Compact, the estimated annual virgin flow (1922 to 1997) has been 17.7 BCM, with an historic low flow of 6.9 BCM in 1934. During the 1931 to 1940 and 1954 to 1963 streamflow averaged about 12.6 BCM annually. Under similar future conditions, if the Upper Colorado River Basin states consume the 9.3 BCM allocated to them by the Compact, they would default on the legal obligation to the Lower Basin. These Lower Basin states have the first right to the allotment. The engineering solution was to construct a dam (the GCD) near Lees Ferry that could store water in wet years and release water in dry ones. Maintaining geopolitical equity between basins was therefore the major purpose served by the GCD (Ingram et al., 1990). Power generation itself was second to the need to generate revenue for other water projects primarily in the Upper Basin. Decisions in the Colorado River Basin now involve many temporal and spatial scales. A recent study by the consortium of western water resources institutes (i.e., the Powell Consortium) offers the counterintuitive result that while the Lower Colorado River Basin within the United States is indeed drier than the Upper Basin, it is the Upper Basin that is vulnerable to severe, long-term drought because of the 1922 agreement (Powell Consortium, 1995). In addition it was found that, while opportunities for "win-win" situations and rule changes exist, such changes are extremely difficult to implement. Minimum flow requirements are, at present, met with unused entitlements. As with many other river basins, in western North America, there is at present no single decision-making body that encompasses the entire basin. Water managers have traditionally relied upon the historical record in order to plan for the future, inferring the probability that shortages and floods might occur given their frequency of occurrence in the past. As a result of the climatological droughts experienced during the 1930s, 1950s, and in 1977 (at 7.2 BCM the second driest year in the record), the system as a whole is operated to maximize the amount of water in storage for protection against dry years (see Fig. 3). Total storage within Lake Powell is over three times the annual Upper Basin allotment, or about 31.0 BCM. It should be noted that the region has also experienced sustained periods of high runoff as occurred from 1941 to 1950 and from 1983 to 1986. 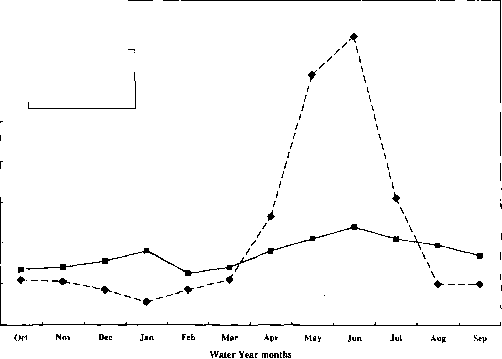 Figure 3 Colorado River discharge at Lee Ferry before and after completion of Glen Canyon Dam in 1963.
unreasonable to expect that Mexico will assume total responsibility for delta restoration. Such stresses are expected to produce serious conditions more often in the future because of the expansion of bilateral trade between the United States and Mexico, the projected rise of development and agriculture in western Sonora, and the full utilization of water allocations in the Upper Colorado Basin anticipated to occur by the year 2010.